The UAE-based retail major Lulu Group marked its retail push into Indonesia with the opening of its first hypermarket in the country in capital Jakarta. The group has already announced plans to invest $500 million and set up 10 hypermarkets in the next three years in the country, as part of its expansion. The first Lulu hypermarket of the country was officially inaugurated by Joko Widodo, the President of Indonesia in the presence of Basuki Tjahaja Purnama, Governor of Jakarta; Thomas Trikasih Lembong, Indonesian Trade Minister; Ahmed Abdullah Al Mussali Al Awadi, UAE Ambassador to Indonesia; Husin Bagis, Indonesian Ambassador to UAE; and other ministers and dignitaries. Located in the Cakung sub district of East Jakarta with an area of over 200,000 sq ft., the new hypermarket is designed with customer convenience in mind and provides a one-stop shopping destination for the residents of the city. “With an initial investment of $300 million in the first phase, we plan to open 10 hypermarkets by end-2017 and a central logistics and warehousing facility in Jakarta. These projects are likely to generate more than 5,000 job opportunities for Indonesians,” said Yusuf Ali M A, chairman, Lulu Group. “We also plan to set up contract farming to ensure continuous supply of high quality products and to support the Indonesian agriculture sector,” he added. 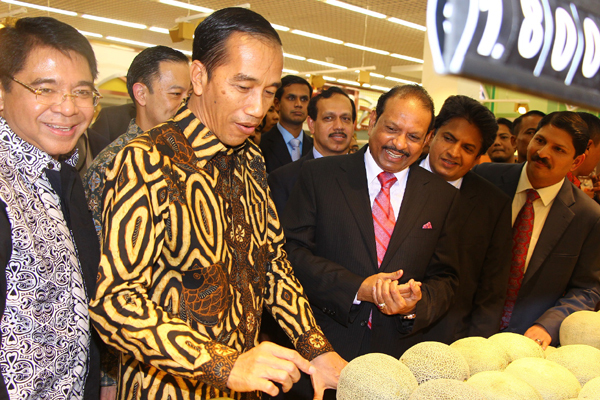 During the official visit to UAE last year, President Widodo had visited Lulu hypermarket in Abu Dhabi and expressed keen desire to have Lulu in Indonesia. He was especially impressed by the high standards of operations, quality of products and service and also the wide variety of products available in Lulu.